?A great way to add oxygen to your hydroponic growing system. 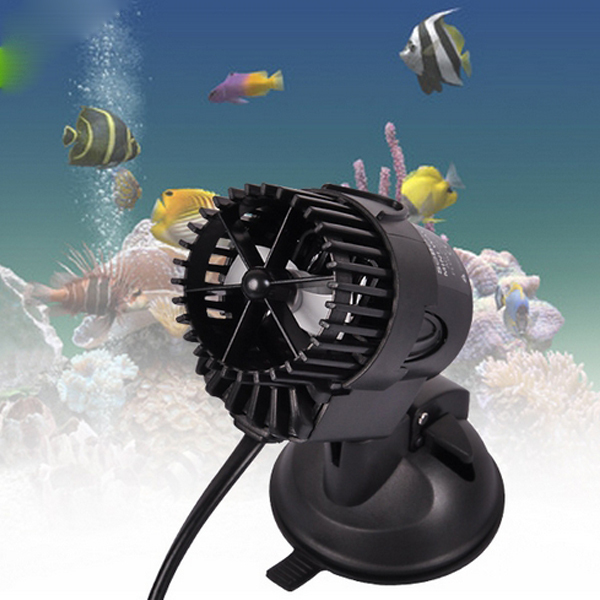 ?Use to re-creates natural currents in fresh water and marine acquariums. ?Compact size, adjustable direction of water flow. ?High performance with minimum power consumption. ?It can be easy mounted with its powerful suction cup. ?Reliable, extremely silent and easy to maintain. ?Turbine blade made of titanium alloy, the bearing of the wave maker can endures abrasion and corrupt. 2.After you are done with that, the mini wave maker will work immediately when you plug it in. If you want to adjust the direction or strength of wave, you just need to twist pump body gently. 3.If you want to stop making wave, please pull out the power plug. The mini wave maker will start working immediately when you connect the power plug next time without adjustment. 3.Supply voltage must be in accordance with the requirment of the mini wave maker. 4.The mini wave maker should work in the water. 5.If no waves, smoke or abnormal noise is detected when mini wave maker is working, disconconect the power plug and contact us ASAP.